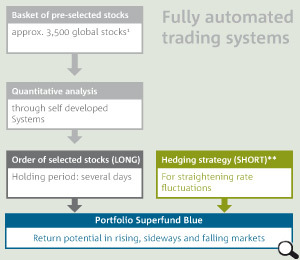 The Superfund Blue strategy utilizes a proprietary, automated trading strategy where the computer acts as the fund manager. Trading decisions are not made by humans – these are generated solely by the computer. * The Superfund Blue strategy may not involve the direct purchase and sale of equity securities, but rather may trade synthetically through total return swaps on such securities. The system invests exclusively in highly liquid stocks2 on the world’s largest stock exchanges, mainly in Europe, Asia, and America. 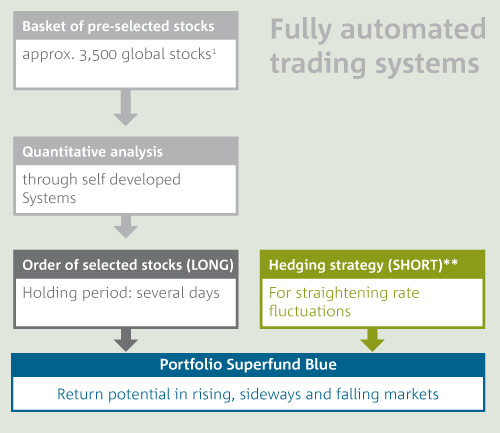 The system automatically selects stocks from a pre-selected short list of about 3,500 individual stocks. There are many types of alternative equity strategies that use stocks, futures, and other derivatives to reduce the downside exposure to the general market while providing consistent returns. One particular alternative equity strategy seeks to invest in stocks which potentially rise in the short term or outperform the general market. Nevertheless the strategy has the ability hedge equity positions partially or completely with the respective stock index futures to reduce market risk and to potentially protect the stock position from losses caused by market volatility. In this example, both the single stock and the stock index are rising. 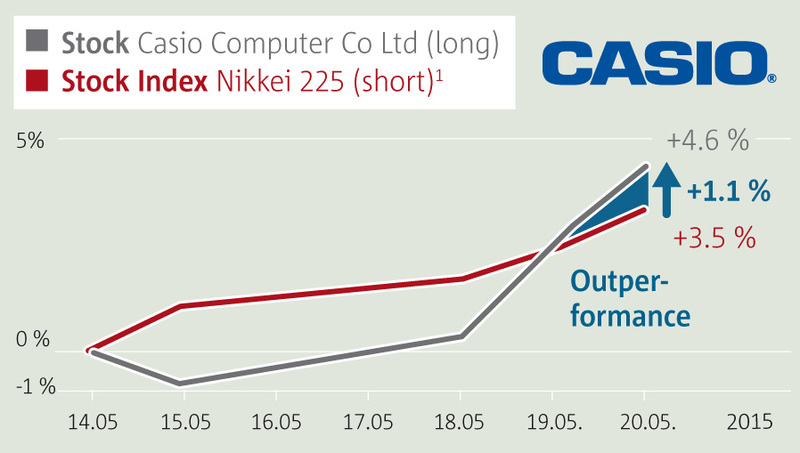 Since the stock (+4.6 %) outperforms the overall market (+3.5 % = 3.5 % loss of the equity index future), a net profit of +1.1 % is realized (Outperformance). In this example, the single stock and the stock index are both falling. 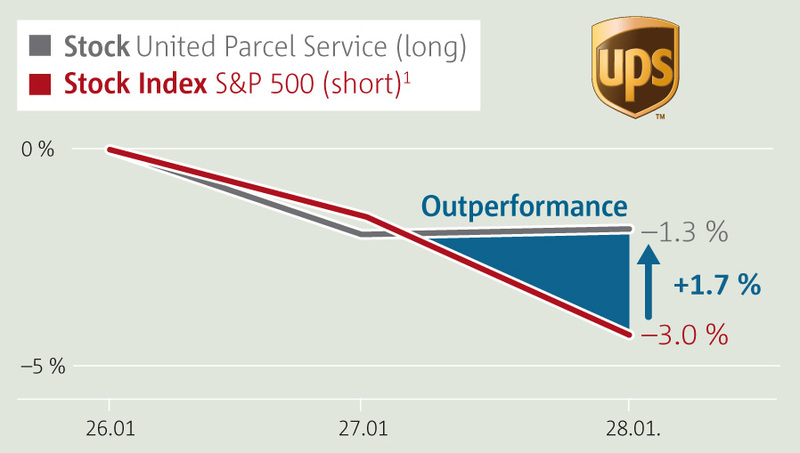 Since the stock falls less (-1.3 %) than the overall market (-3.0 % = +3.0 % gain of the equity index future), a net profit +1.7 % is realized (Outperformance). 1) Nikkei 225 Index Futures / Mini S&P 500 Index Futures; Important Notice: The achievement of investment objectives is not guaranteed. Decreases in value are possible at any time, also a complete loss of the principal invested cannot be excluded.